Blizzard featured an article written by CauthonLuck, former pro player and current coach for the HeroesHearth team, about ego and your perceptions about the players of the game. The scrim match is over, another win thanks to your 9-1 performance on Genji. Your team held a two- to three-level lead through the midgame, and though you couldn’t close out the game until past 20 minutes, it was a full team wipe and core march once the final battle took place. However, when reviewing the game, instead of praising how hard you carried all the team fights, the team seems fixated on why it took so long to close out such a one-sided match. I mean, sure, you dived past a fort to try and finish those fleeing enemies and lost the objective after your death, but why is everyone so fixated on the one mistake you made all game?! So you fire back with how they only had that lead because of you to begin with, and your top-laner got ganked three times or you would have already won anyways, so your death shouldn’t even have mattered. Fast-forward two minutes, and nobody even remembers the original discussion about how to focus on closing out games more quickly. Instead, everyone is justifying their own mistakes as team members take turns pointing out where others messed up. Variations of this scenario happen constantly across all levels of play, whether you’re playing in Heroes of the Dorm, playing for an open team, or already in the HGC—egos derail potential improvement opportunities when players lose focus on the team as a whole and get caught up in defending or blaming an individual action without taking the time to understand the other perspectives. While I’ve seen a lot of teams struggle with this issue over the years, and unfortunately been that pro Genji myself on a few occasions, it’s a well-known roadblock for improvement, and one that is usually taken into consideration when forming teams. Here we’re going to go over a more understated way that egos can stagnate improvement or prevent a team’s growth: disrespecting your opponents. It’s surprisingly easy to fall into this trap as egos tend to reinforce each other when evaluating other teams. This can lead to the warped outlook of viewing teams ranked lower than your own as “trash,” and dismissing those ranked higher with statements like “All they do is cheese with X, Y, or Z every game.” Just because a team has fewer wins in the standings, or doesn’t play some aspect of the game very well, how is that going to help your own team improve if you just write off the strategy they always seem to beat you with in scrims, or ignore how they steal games off top teams using a specific map? In today’s competitive landscape, it’s more common than ever for low-ranked teams to take games, if not entire sets, off top teams. As the hero pools of both the game and individual players have expanded, so too have the different strategies, compositions and play styles. With each of these components subject to further variations based on map, it’s no wonder that upsets are at an all-time high. Top teams no longer simply do everything better. At this point, every team plays at least some aspect of the game well; the biggest differences are in the number of things they do well, and how they leverage that versatility over the course of a series. Sure, you don’t want to let the enemy team have their best comps or maps in a tournament set, but you should sometimes let them have it intentionally in scrims. Figure out why they always beat you with a particular comp, practice how to play against it, or run it against them and see how they react before you write them off as one-tricks—you’re only limiting your own growth that way. If your ego won’t let you respect the strengths of your opponents, especially if they aren’t considered an overall better team, you’ll be missing out on just as many opportunities for improvement as in the intra-team example. And if you can learn to respect the advantages that other teams gain from adopting a different perspective, you can learn to respect the same from your teammates. At the end of the day, teammates are eventually going to make mistakes, be split on the best course of action, and get into arguments. It isn’t about determining who was in the absolute right or wrong in each case, but understanding the perspective behind why a decision or action was made—both from the person who made it, and from those who think there could have been a superior option. Each time you do so, it gets easier to agree on what to do next time, or what actions to anticipate from your teammates based on those discussions. There’s a big difference between saying “Why did you do that!” in an accusatory manner, and “Why did you do that?” with the intent of starting a dialogue. Our second ranked season of 2018 is about to begin, and we’ve got a new set of rewards that you can earn by playing ranked games in the coming months. Read on for details! 2018 Season 2 will begin as soon as our next patch is available for download in each region throughout next week. Check the start and end dates below and make sure you’re able to dive into the rankings as soon as the season rolls. In past ranked seasons, we’ve received a lot of feedback about the importance of placement games. We’ve made some changes this season to address that. First, we will no longer boost the system’s uncertainty level in players’ matchmaking ratings (MMRs) at the start of a new ranked season. Previously, this uncertainty boost made movement more fluid during players’ initial matches each season. Removing it will smooth out cases where players could make considerable swings in rank over a relatively small number of games. We’ve also received feedback that rising or falling more than one league (5 divisions) during placements can feel like too much movement over too short a timeframe. Removing the uncertainty boost will address this in most cases. To catch any outliers, we’ve also implemented a one-league cap on how much your rank can move as a result of placement matches. Example: A player who ended the previous season at Gold 1 cannot fall lower than Silver 1, or rise higher than Platinum 1, during their 10 placement games this season, regardless of how uncertain the system is about their MMR. Finally, first time ranked players cannot be seeded higher than Platinum 3 when they start placement matches. This is an older rule, but when combined with the changes mentioned above, the highest those players can exit placements will now be Diamond 3. Example: A player with a Master level MMR in Quick Match, who decides to step into Hero League for the first time, will be initially seeded into placements at Platinum 3. If that player proceeds to win all of their placement games, they can be placed at a maximum of Diamond 3. Good luck, and have fun during the new ranked season! 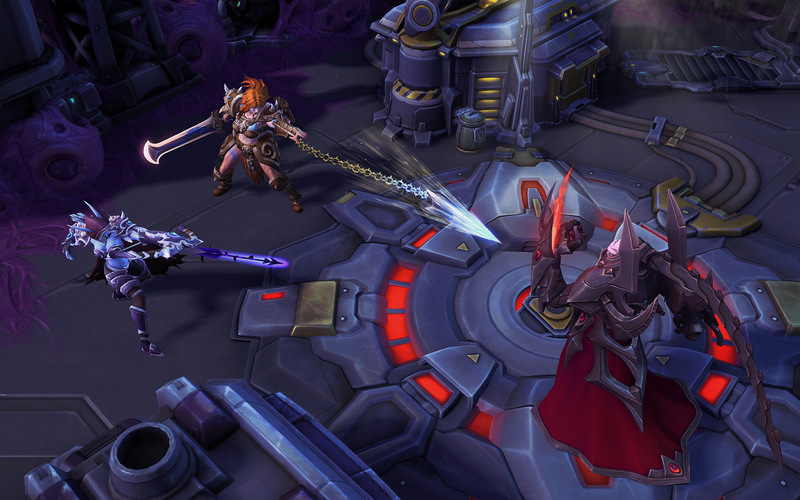 Our next Heroes of the Storm patch has just hit the Public Test Realm and will be available for playtesting until March 5. As always, if you encounter any bugs or other issues during your PTR play sessions, please stop by the PTR Bug Report forum to let us know about your experiences. Nova: Precision Strike has received updated visual effects. Sgt. Hammer: Has received a custom Hearthstone animation. Thrall: After learning the Thunderstorm Talent, a UI indicator will now appear under the Health bar of Thrall’s most recent Chain Lightning target. Quest progress visual and sound effects will now play when earning Takedown credit. Diablo’s Black Soulstone Quest will now appear on the in-game Score Screen (TAB). Medivh has received significant updates with today’s patch. Find his detailed changes below, and then head to the Sonya and Medivh Gameplay Updates blog for more insight behind these changes. Quest: Hit 40 enemy Heroes without dying. Now also increases Health regeneration by 75% while in Raven form. An ally now gains 25 Armor for 4 seconds the first time they enter a Portal. Now also Slows enemies by 30% for 2.5 seconds. Permanently increases vision range in Raven Form by 25%. 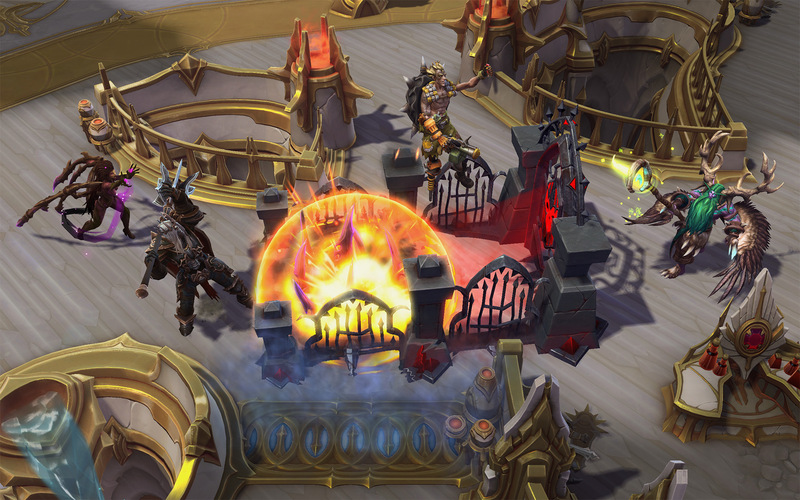 Activate to greatly increase Medivh’s vision range for 5 seconds, and reveal enemy Heroes in the area for 8 seconds. Does not cancel Raven form. Sonya has received significant updates with today’s patch. Find her detailed changes below, and then head to the Sonya and Medivh Gameplay Updates blog for more insight behind these changes. Every fourth Seismic Slam deals 40% more damage and costs no Fury. Every 12 seconds gain a stack of Block that grants 75 Physical Armor against the next Hero Basic Attack. Stores up to 3 charges. Cooldown refreshes 200% faster while Fury is active. Seismic Slam deals 75% damage to all targets hit and its splash damage travels 66% farther. Passively increases damage dealt to Mercenaries by 25%. Activate to Heal for 10% of Sonya’s maximum Health. 30 second charge cooldown. Stores up to 3 charges. Activate to instantly gain 50 Fury. 40 Second cooldown. After casting Seismic Slam, your next Basic Attack deals 40% more damage. Movement Speed bonus reduced from 25% to 20%. Whirlwind deals an additional 50 damage to Heroes below 33% Health. This damage does not generate additional Healing. Seismic Slam deals an additional 2% of Heroes’ maximum Health as damage. 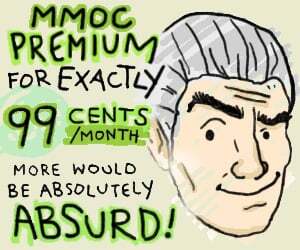 Increases Basic Attack damage by 25%. Basic Attacks decrease the Ancient Spear’s cooldown 0.75 seconds. Armor reduced from 75 to 60. Increases Ancient Spear’s range by 50%. Hitting an enemy Hero with Ancient Spear grants 25 armor for 4 seconds. Wrath of The Berserker increases maximum Health by 10% and grants the Striding Giant Ability while it is active. Striding Giant can be activated to become Unstoppable for 2 seconds. 30 second cooldown. Abathur: Fixed a pair of small holes in Xenotech Abathur’s model. Blaze: Talent icons for Adhesive Petroleum and Oil Dispersal now use different colors so they are easier to differentiate at a glance. Greymane: Greymane’s Health bar will no longer move during his victory animation. Greymane: The Doctor Wolf & Stein skin’s Inner Beast visual effects no longer appear misaligned during Greymane’s Hearthstone animation. Sgt. Hammer: Neosteel Plating’s visual effects now correctly match Sgt. Hammer’s model while in Siege Mode. Tassadar: Moving while in the Mecha Tassadar Skin’s Mount form on Sky Temple will no longer cause flickering visual effects to appear on-screen. Valeera: After activating Crippling Poison and Wound Poison, visual effects on Valeera’s blades will no longer flicker while she is riding certain mounts. Mage Wars (Brawl): Kael’thas can now correctly cast Verdant Spheres as soon as its cooldown completes. Try Mode: Zul’jin’s Headhunter Talent will now progress correctly after killing The Lost Vikings. Brightwing: Soothing Mist will no longer Heal allies who are standing nearby while Brightwing is inside Anub’arak’s Cocoon, Lt. Morales’ Medivac, Stitches’ Gorge, or Zagara’s Devouring Maw. D.Va: Fixed an issue that could cause Big Shot to deal no damage after learning the Pew! Pew! Pew! Talent and becoming affected by another damage or Spell Power reduction effect. Gall: Shadow Bolt Volley’s targeting reticle is no longer visible to enemies through the Fog of War. Hanzo: Casting Storm Bow with Quick Cast turned off will no longer prevent the player from issuing movement commands by holding down right-click. 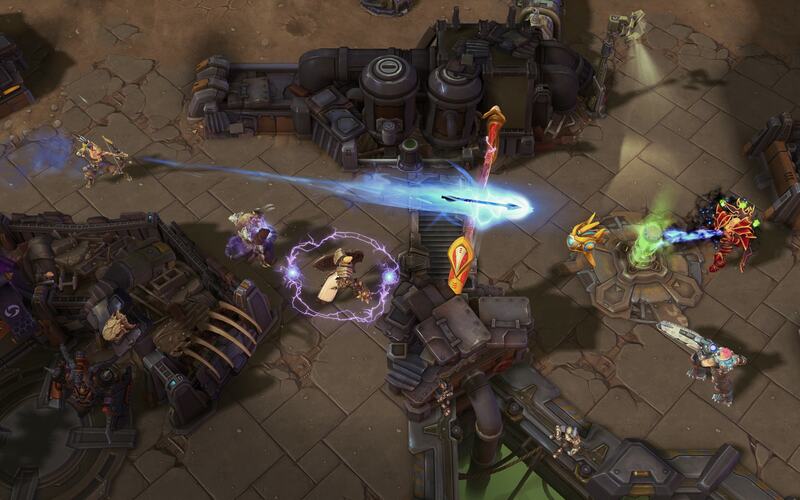 Hanzo: Issuing a Stop or Hold command will now correctly halt Hanzo’s movement and cancel Storm Bow’s primed state. Hanzo: Casting Storm Bow immediately after Dragon's Arrow will no longer cause Hanzo to become stuck in Storm Bow’s primed state. Hanzo: Striking an enemy Hero with Sonic Arrow just before they enter their Hall of Storms will no longer cause Sonic Arrow to display odd visual effects. Nazeebo: Using a mine entrance or exit on Haunted Mines during Gargantuan’s summoning animation will no longer cause Nazeebo to lose control of the Gargantuan. Rexxar: Entering a Garden Terror while Misha is dead will no longer prevent Rexxar from issuing commands to Misha after she respawns. Samuro: Can no longer swap places with a Mirror Image that is in the allied Hall of Storms. 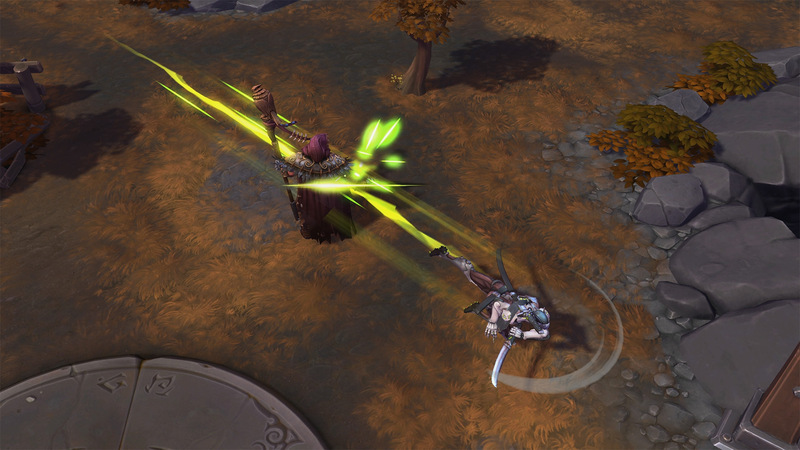 Samuro: Mirror Images now correctly play Level Up and Quest Completion visual effects when Samuro levels up or completes a quest. Sgt. Hammer: Commands can now correctly be queued while Sgt. Hammer is returning to Tank Mode. Tassadar: Fixed an issue that could cause Basic Attacks in Archon form to deal splash damage twice to secondary attack targets after learning Prismatic Link. Tassadar: Completing the Templar’s Will quest and learning Twilight Archon will no longer grant extended range to Tassadar’s first Basic Attack in Twilight Archon form. Tyrael: The remaining duration on bonus Armor granted by the Stalwart Angel Talent after using El’Druin’s Might to teleport will now correctly appear in the Buff Bar. Zagara: Fixed an issue that could cause Heroes who were caught in the center of Devouring Maw to display their exit locations before Devouring Maw expired. Ana: Debilitating Dart activation is no longer audible when the player camera is far from Ana’s location. Minimap: Ping icons will no longer appear faded on the Minimap while shaders are set to medium. Score Screen: The in-game Score Screen will now correctly track quest progress for D.Va’s Crash Course Talent. We’ve just released a patch to the live servers in order to implement Voice Communication, as well as apply some balance updates and bug fixes. Voice Communication has been added to Heroes of the Storm! Read the Voice Communication blog for more information about how to use it in-game. Developer Comment: The changes we released on January 9 helped bring Maiev’s win-rate down to mortal levels, but she was still a bit too powerful, overall. Today’s changes are aimed at slightly lowering both her survivability and burst damage throughput. Our data is showing the majority of her Talents are in healthy spots, but we will keep an eye on them as players start adapting to certain playstyles. Developer Comment: Malthael was designed to be powerful in the solo lane, but his dominance in the game’s early laning phase was unrivaled. We’re reducing this by making him heal less when Soul Ripping Minions, but increasing his Hero-only healing so that he can still keep himself alive in late-game team fights. 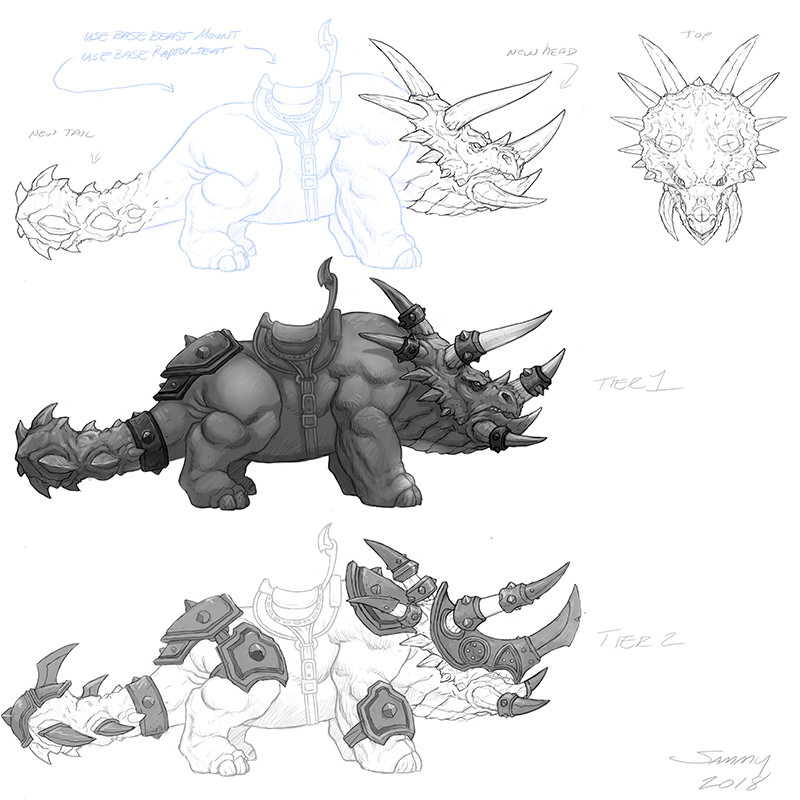 We’re also reducing the power of Die Alone and increasing his Mana tension to taper some of his early game power. By increasing Soul Rip’s Mana usage, we’re also reducing some of the power Malthael had when double-soaking lanes (especially when combined with On a Pale Horse), as he tends to use Soul Rip twice as often when doing so. The overall goal is to reduce the power of a few particularly dominating builds, while making sure that he still feels powerful past the early game. Damage reduced from 125% to 100% of Ancient Spear’s damage. Developer Comment: We originally applied these adjustments in a patch on January 24, but Sonya was so eager to get back into battle that she forgot to take them with her. We're giving these changes back to the Barbarian, and have (politely) asked her to remember to bring them along the next time she leaps into the fray. Li Li: After learning the Lighting Serpent Talent, Cloud Serpent attacks that are bouncing to additional targets when the Ability expires will now correctly deal damage. Lt. Morales: The tooltip for the Healing Beam icon next to Lt. Morales’ in-game portrait will now correctly display the Ability’s cooldown duration. Malfurion: An ally who is affected by multiple Regrowths will now be correctly healed by Moonfire and have Stuns, Roots, and Slows removed by Nature’s Cure. Sgt. Hammer: Can now correctly deploy Biotic Emitters on Volskaya Foundry while in Siege Mode.